Still Waiting On Your Workplace Injury Settlement? Need Pre Settlement Funding On A Workers Comp Lawsuit Settlement? Customers who have been injured on a commercial property as a result of the property owner’s negligence will generally need to file a personal injury lawsuit in order to recover the damages they suffer. Employees who are injured at work, on the other hand, do not need to file a personal injury lawsuit in order to get medical expenses and lost wages reimbursed. Instead, they need to make a worker’s compensation claim. Worker’s Compensation is a type of insurance that offers benefits to employees who are injured on the job regardless of whose fault the injury was. Worker’s Compensation is designed to make an employee whole by covering all medical expenses related to the injury and reimbursing for lost wages. When a worker receives workers compensation benefits, they are not permitted to sue their employers nor are they permitted to sue a coworker for additional damages. There are two exceptions to the rule against suing an employer, however. Crew members of a vessel under the Jones Act or intrastate railroad workers under the Federal Employers Liability Act are both permitted to sue in certain circumstances. there is no necessary time off. If you feel that you’ve been unfairly denied workers compensation benefits, contact Pravati Capital today. We can match you to one of the many lawyers in our network who is experienced with getting Worker’s Compensation denials overturned. We may even be able to provide financing that allows you to get the medical treatment you need while also replacing your lost wages well before you have won a settlement. Pravati Capital invests in the success of both law firms and plaintiffs. We have built a network of qualified, experienced attorneys who can help you with your workers compensation claim. We can connect you with an attorney who is a member of the Workers Injury Law and Advocacy Group and who is passionate about advocating for workers rights. Because we understand how difficult it can be to carry on with your life after a workplace injury we can also provide you with legal financing that you can use to pay bills and make up for lost wages while you wait for a settlement. 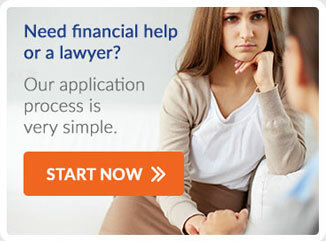 Not only will this help you immediately start to make your life whole again, it will also ensure that you are not forced to agree to a very low settlement due to current financial pressures. At Pravati Capital we would love the opportunity to be your partner. Contact us today to get started and let us supply you the legal financing to help you get your workers comp lawsuit settlement. When you qualify for Worker’s Compensation benefits, you will receive medical expenses related to the injury that qualified you for Worker’s Compensation. This includes any expenses for traveling to and from doctors’ appointments, medical facilities or therapy. Employees who receive Worker’s Compensation are also recovering wages that they can no longer earn due to a permanent, partial or total disability. Should the worker lose a limb, their hearing, or their sight during the accident they may receive additional funds. Finally, depending on your state, you may qualify for vocational rehabilitation if you are no longer able to work in your field. It is always a good idea to have a representative who is a member of Workers Injury Law and Advocacy Group. This is a not-for-profit group that focuses on the interests of injured workers and their families. The attorneys who are members of this group are advocates for workers rights. They meet regularly to discuss regulations, changes and to exchange information in order to help empower their clients. If you experienced a Workplace Injury or currently working on a workers comp lawsuit settlement contact Pravati Legal Funding today.